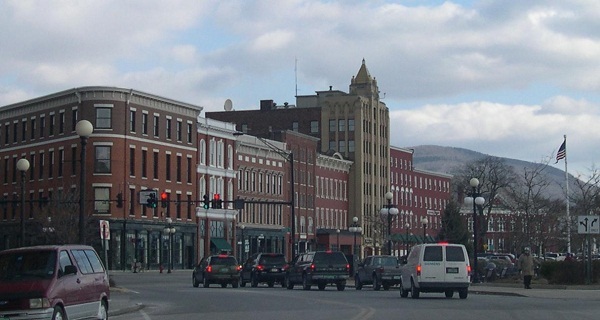 Discover more about private investigators capability, employment and regulations in Vermont. ICS offers a wide range of case types and services in the State of Vermont which are always conducted by one of our well experienced Licensed Private Investigators. ICS Private Investigators are held to the high standard of professionalism and will deliver all findings in a timely and accountable manner. Private Investigators in Vermont are required to be licensed in order to conduct Private Investigation services. If your investigation requires the case to move out of state, the private investigator must still abide by any out of state licensing requirements. A Private Investigator in Vermont must be fully licensed in order to conduct any investigations in Vermont. As a requirement, all investigators looking to become a Private Investigator in VT must have a minimum of 2 years of experience working in Investigation Services and pass the State issued Vermont Private Investigators Licensing exam. You can feel confident that any investigations conducted in Vermont will be led by a team of experienced Private Investigators that coincide within Vermont State requirements, as well as the professionalism and integrity that ICS requires of all employee’s and subcontractors throughout the world. ICS provides a full range of investigations for the state of Vermont, and has Private Investigators all over Vermont. Whether your case involves adultery, cheating, child custody, fraud, background checks, or any other of the cases we take on, ICS can help. With our experience and knowledge, we will find and gather the information needed for your investigation. Do you need a Background Check in Vermont? Background checks are some of the most informative investigation tools a Private Investigator can provide their clients. Often, a Background Investigation is all the client needs, where other situations require a Background Check just as a starting point to a more thorough investigation. If you need a Background Check in Vermont or an investigation that would require one, then the professionals at ICS are here, standing by. ICS has been helping people with investigation services in Vermont and surrounding areas since 1967. Vermont has two types of licenses, an Agency License and a Private Detective License. Title 26, Chapter 59, Sub Chapter 3, § 3171. (4) evidence that the applicant has successfully passed the examination required by section 3175 of this title. (b) The Board may inquire of the Vermont Crime Information Center for any information on criminal records of the applicant, and the Center shall provide such information to the Board. The Board, through the Vermont Crime Information Center, may also inquire of the appropriate state criminal record repositories in all states in which it has reason to believe an applicant has resided or been employed, and it may also inquire of the Federal Bureau of Investigation, for any information on criminal records of the applicant. The applicant shall bear the costs associated with fingerprinting. The Board may also make additional inquiries it deems necessary into the character, integrity, and reputation of the applicant. (c) The Board shall require that the person has had appropriate experience in investigative work, for a period of not less than two years, as determined by the Board. Such experience may include, having been regularly employed as a private detective licensed in another state or as an investigator for a private detective licensed in this or another state, or has been a sworn member of a federal, state, or municipal law enforcement agency. (d) An application for a license may be denied upon failure of the applicant to provide information required, upon a finding that the applicant does not meet a high standard as to character, integrity, and reputation, or for unprofessional conduct defined in section 3181 of this title. (Added 1981, No. 98, § 1; amended 1989, No. 250 (Adj. Sess. ), § 67; 1995, No. 144 (Adj. Sess. ), § 8; 1999, No. 133 (Adj. Sess. ), § 26; 2009, No. 103 (Adj. Sess. ), § 28; 2013, No. 119 (Adj. Sess. ), § 16.)" 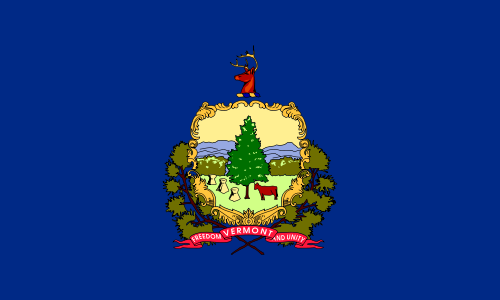 Reciprocity: The state of Vermont does not have reciprocity agreements with any other states. The board shall prepare, or have prepared, and administer, separate examinations for private investigators and private security services. Each examination shall be designed to test the competency of the applicant with respect to the lawful and safe provision of each respective service to the public. (Added 1981, No. 98, § 1; amended 2009, No. 103 (Adj. Sess. ), § 30.)" Individual: $150 for unarmed, $200 for armed. If an individual fails to renew in a timely manner, he or she may renew the license within 90 days of the renewal date by satisfying all the requirements for renewal and payment of an additional late renewal penalty. Vermont State requires licensing for Private Investigators, Security Guards and Agencies. Only licensed investigators can conduct investigations in Vermont. Licenses are only good in Vermont, there is no State Reciprocity.